Happy Woman Stands On The Beach. Woman Enjoys The Sun And The Sea Wind. Summer Holidays, Summer Fun. Happy Freedom Concept. Lizenzfreie Fotos, Bilder Und Stock Fotografie. Image 101341627. Standard-Bild - Happy woman stands on the beach. 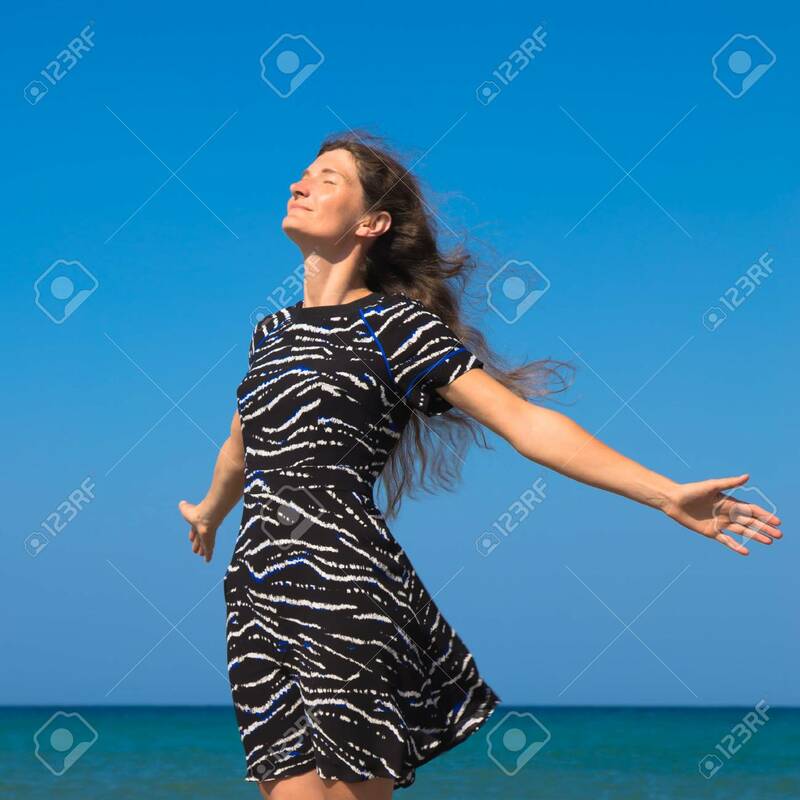 Woman enjoys the sun and the sea wind. Summer holidays, summer fun. Happy freedom concept. Happy woman stands on the beach. Woman enjoys the sun and the sea wind. Summer holidays, summer fun. Happy freedom concept.